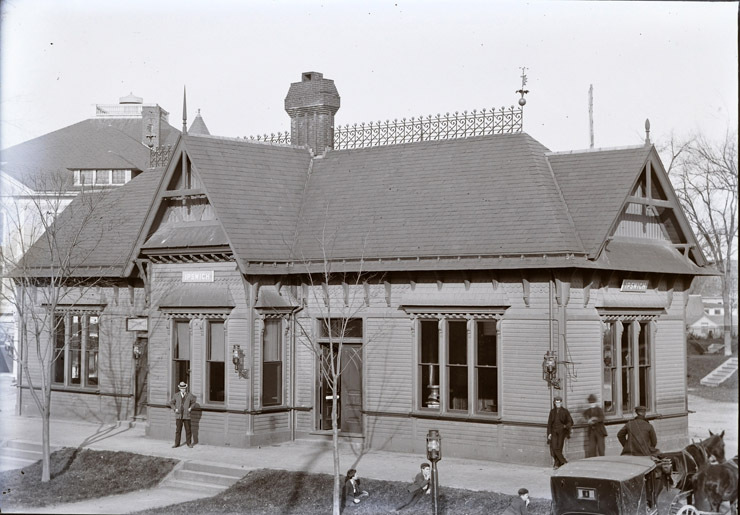 The Eastern Railroad ran from Boston to Portland, continuing to Canada and was the primary competition of the Boston and Maine Railroad until it was acquired by the B&M in the late 1880’s to become the B&M’s Eastern Division. 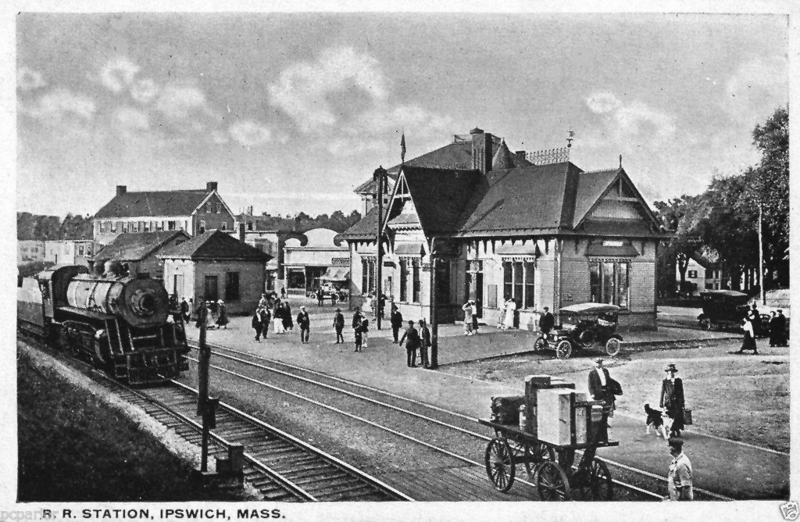 The Ipswich Depot sat at the location of the Institution for Savings at Depot Square. 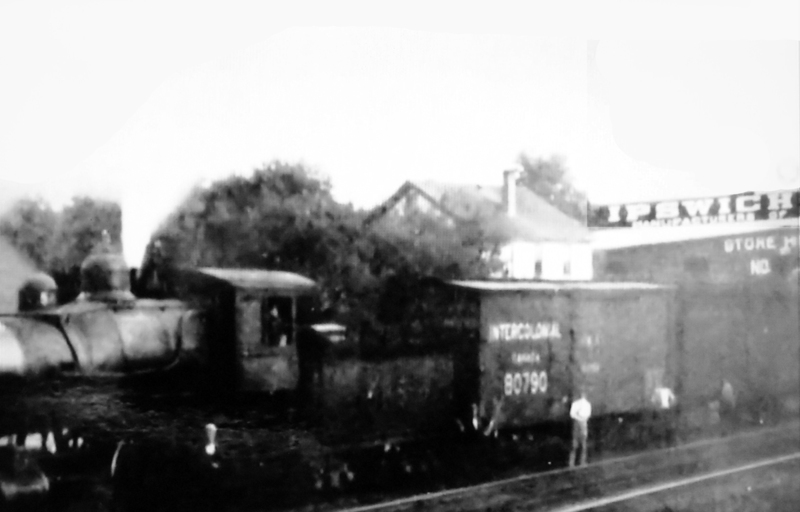 Ipswich Depot is on the left and the Damon Building is on the right. 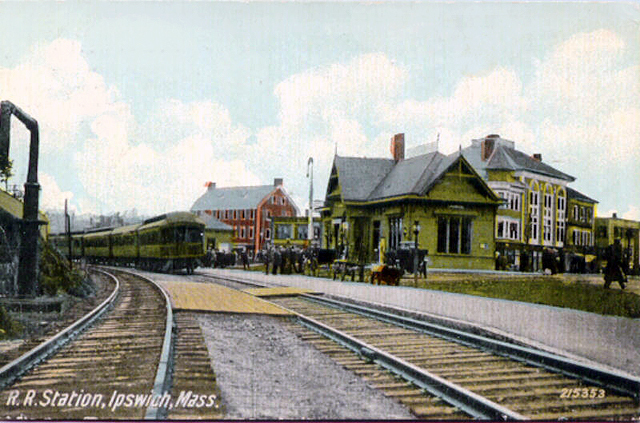 The Hayes Hotel is the red building in this postcard of the Ipswich Depot around the beginning of the 20th Century. 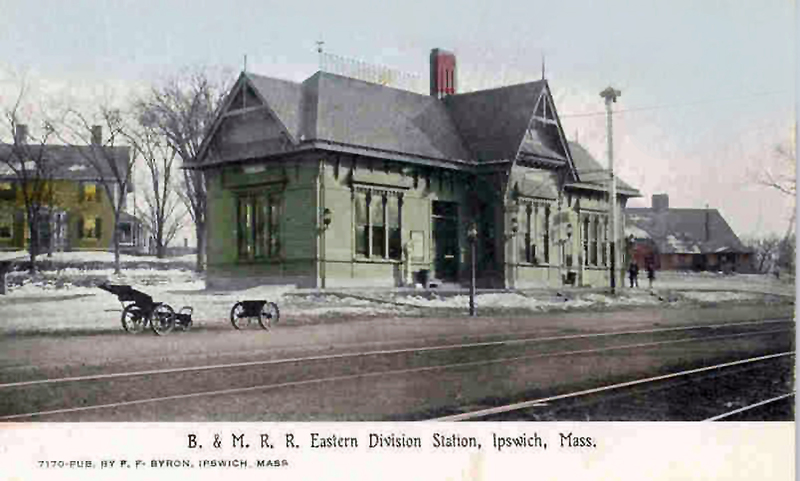 In 1866 the Eastern International House was built by the Eastern Railroad at Depot Square in Ipswich, approximately where the Institution for Savings bank now sits. 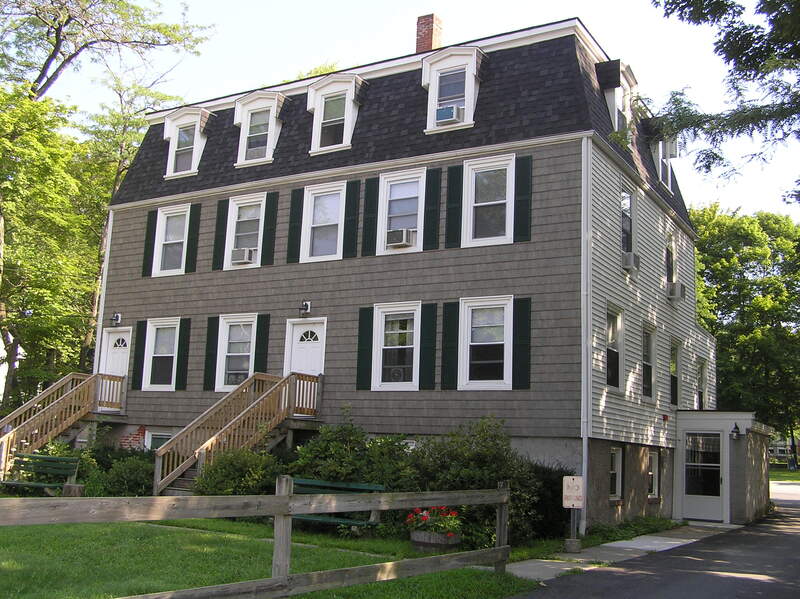 The Eastern International House was moved to Central Street and is now a condominium. 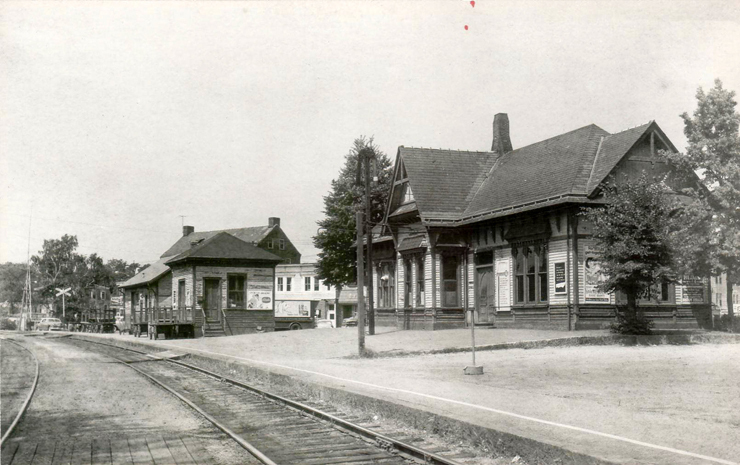 Between the time the Depot was demolished and the Ipswich Co-op built their bank, John Pechilis’ Strand Furniture sat at this location. Lee J. Pechilis was the son of John and Eva Pechilis and as a young man he was employed at Strand Furniture. 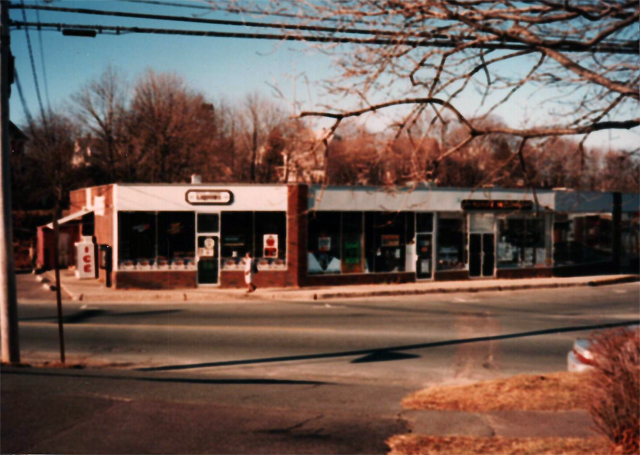 Following the store’s closure, Lee and his former wife Brenda re-opened it as the Pechilis Family Furniture Store on Central Street, which closed in 1991. 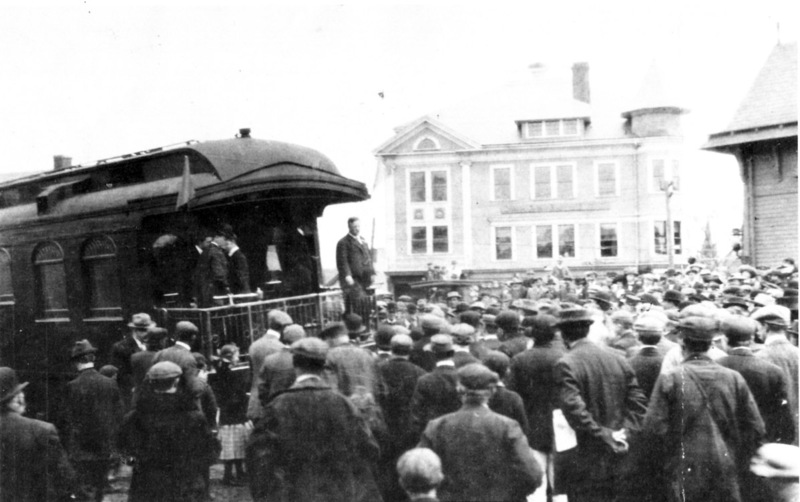 Teddy Roosevelt on the campaign trail stops at the Ipswich Train Depot in 1912. 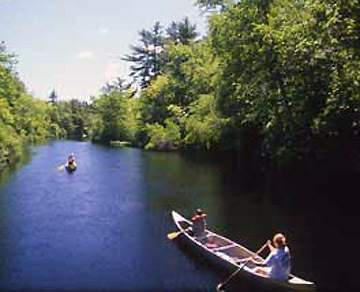 The old Damon Block, which was destroyed by fire, is in the background. 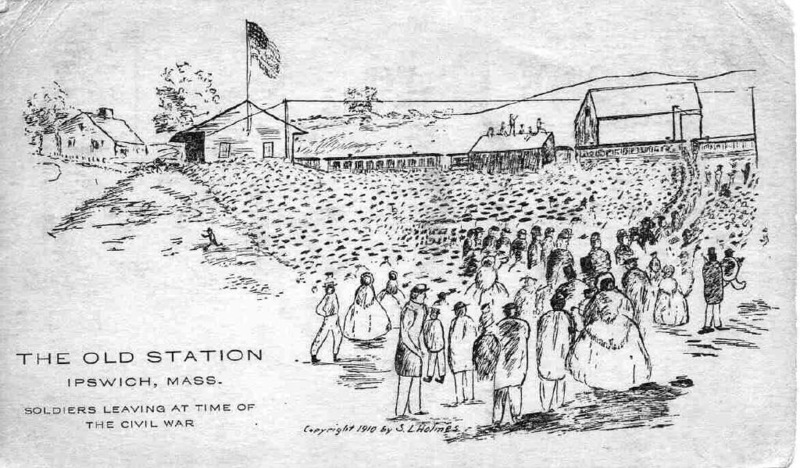 The present day Market Place stands on the site today. Thanks to Fran Richards for photo and text. 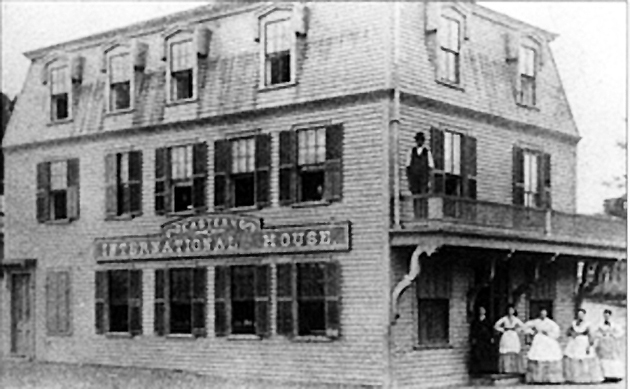 11 Depot Square, Russell’s Lunch (circa 1900) - Arthur Honey Russell is said to have been responsible for making the Ipswich fried clam famous. 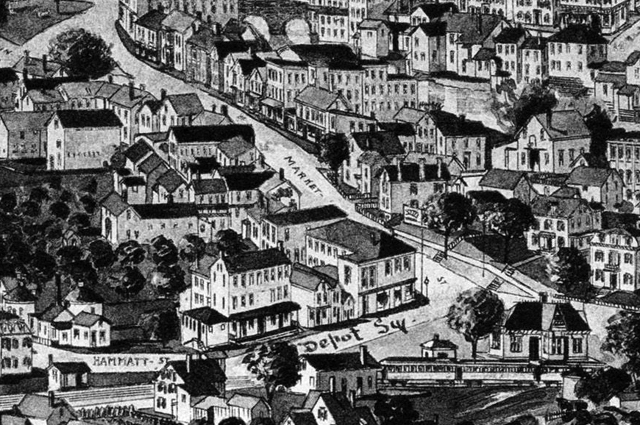 Folks from other cities and towns on the North Shore came to Ipswich on the train or by trolley just to eat at Russell's on Depot Square. 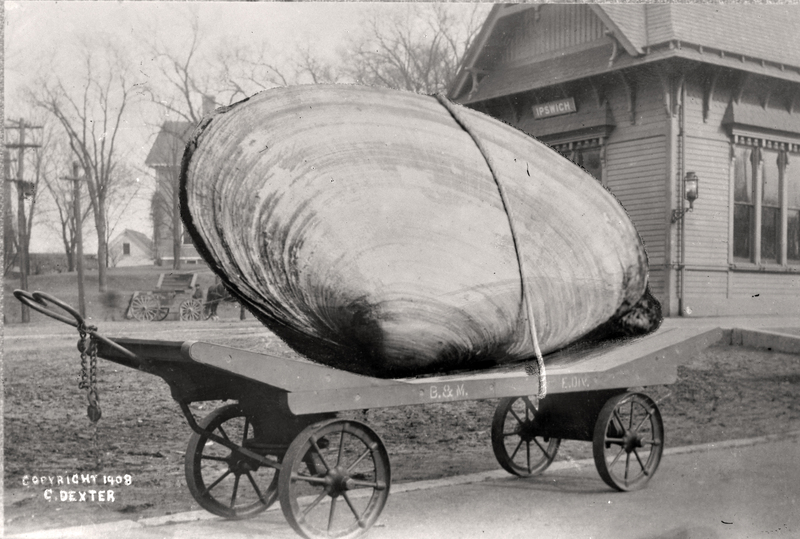 Hi Gordon, do you have any dates on the photographs? More directly, the express luggage building now sits in my back yard. 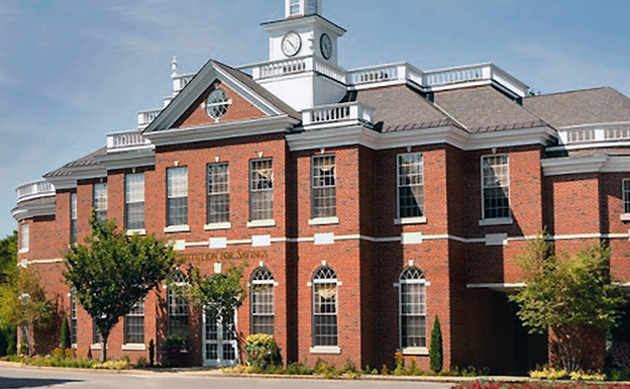 Do you know where I can find the date it was built or when it was moved here? Thanks for any info. Keep up the nice work please!